I was looking at pictures on facebook. Beautiful ocean Instagrams to be exact. The kind that make you feel the salt water on your skin and the wind blowing your hair all the way over here in Minnesota, where we are ocean-less but full of lakes. The truth is, the ocean terrifies me. It’s beautiful and epic and I love it and it terrifies me. I haven’t been lying about how I feel about the ocean, that’s not what I mean. It just takes me awhile to admit some things to myself and then out loud to be heard and either tossed or taken in. There are layers with truths because my fear of the ocean goes beyond a fear of drowning or being eaten by a shark. It’s about feeling too small and maybe feeling an aversion to things that are foreign to me. I’ve never lived by the ocean–I’ve only stood next to it for moments here and there and so it remains a vast mystery, a stranger waiting to swallow me. It’s hard to admit things that make a stranger not a stranger and then to wait, for your things to be tossed or taken in. Like a message in a bottle, where will it go? I felt really small around strangers this weekend. I went to an art studio hop all by myself until I felt so insecure (really, that was a choice, not anyone’s fault) that I went home and took the second nap I’ve had since Elsie was born. I wore myself out with lies and fears. Do I look like I don’t have any friends to take along? I don’t have any friends to take along. I talked too much, I said too much. I probably totally freaked that awesome artist right out. She thinks I’m weird. I’m used to the water. I grew up in the lake and I didn’t care if fish nibbled at my toes or if seaweed pulled at my feet from the lake bottom. I didn’t think I was going to drown every time I jumped off the big tower out in the deep or off the pontoon. Lakes are familiar old friends that have always known me back. They comfort me despite their propensity to swallow or bite. I can take the risk with a a lake. I’ve got layers of lies that I don’t even know about yet. After the nap I woke up feeling less paranoid and I told Ryan that I still can’t stop thinking about the little restaurant that’s for sale on Main Street. I told him I went in to take a look around and I imagined all that it could be. Neither of us wants to run a restaurant, but what else could it be? How could we use it to bring community and serve community? I love to dream and I know dreams are more like the ocean than like lakes but I do it anyway. I am passionate about dreaming and I’m a visionary and I skip past a million oceans when it comes down to it. It’s like looking at pictures on facebook and ooohing and aaaahing and not actually feeling the saltwater or wind, just thinking about it. I walk right up and I see the beauty and then sooner or later I think about the sharks or the hard work of swimming into something that big and I run back to the lakes, you know? Since we were near the art studio hop when we went back to look at the restaurant as a family, we stopped in one of the studios I had loved the most. I was buffered by my family with strangers all around and it was a whole new experience, like a life jacket or one of those cages that keeps sharks from you. I got to see the strangers more clearly, apart from lies and I became more of myself, less scared and more open, like the lake that I am. These strangers are lovely people, of course. And so are my dreams and maybe this time. This time. I won’t just dream and then fear and then toss…but I’ll say it right out loud over and over until it’s taken in and I finally just do the thing my heart and mind have been shaking hands over. Lately I know without a doubt that living fully alive means danger and adventure and risk. It laughs in the face of the simple comforts and norms I call lakes. It is the ocean, this kind of living, and I know it’s what I want for myself and for my family. I want us to work together to serve in hard ways, knowing all the while that real living means yes, you could get swallowed and you will face some sharks but you will live. While you’re alive, you’ll live. I love the ocean, but it terrifies me. Also. Please take a moment to visit someone else who has linked up! 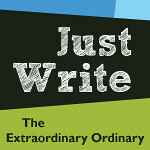 It’s a really good way to meet new writers and get inspired by the meaning behind their moments. Word? Dreaming is so fun! Oh, if only we could dream everyday! Dreaming is safe. It’s the next step that begins the scary journey! oh, i have been swimming in these lakes the last few days. it’s funny – for me i don’t even know i’m running from one water into the next until that minnesota breeze comes off the pines instead of salt water biting my face. then i realize i am back, and somehow have to find the outlet again. i hope this dream pans out wide and deep for you, friend. it is a beautiful dream, and you are just the right beautiful person to pull it off. Loved this one Heather. I’m terrified of all water – and change. But I still swim – and I keep moving forward every day, like we have to. Creating something new is risky – but you’ve already created so much – all of it new. You can do anything! I live at the ocean, vacation at the lake, so both are familiar and not scary. But I do have friends who visit and when I finally convince them to get in the ocean they experience freedom, like eating a piece of chocolate cake for the first time. It’s yummy and they love it, want more. I can relate to having dreams and then reverting to what feels comfortable. You said it well here. And I hope you step into fulfillment on those dreams. I feel the same about the ocean. And about dreams. And strangers when I’m by myself. I love how you tied this all together. i needed to read this today, heather. thanks! Oh the lies we tell ourselves so that we don’t have to be vulnerable, show our “frailties”. We all do it. We all want to be strong and perfect. But showing our flaws makes us even more beautiful, just like this post. I love it. Oh man, this is awesome. I want to know more about your dream. And while our family is not going to do anything big, I think I’ve talked my husband into helping me teach elementary kids all about our faith for the next two years. We haven’t done ministry together in a long time. I’m excited. diving head first into those salty waves. God, but I love you. Yes, me too, to all of this. Thanks for helping me feel a lot less alone, a lot less misfit. Your perspective on the ocean is extremely interesting to me since I posted last week about how much I have loved it since I was a child and how much I hope to pass that on to my own children. It can definitely be a scary place but to me it is inspiring and peaceful. And part of my childhood. And amazing. Robin recently posted..Would You Like Your Computer Or Your Smartphone To Determine The State of Your Mental Health? “It’s hard to admit things that make a stranger not a stranger and then to wait, for your things to be tossed or taken in.” This vulnerability. Yes, I feel it too, always when I am around “strangers” who I wish to make into friends. Or when I am searching across a sea of strangers for the friend I long to find. Your aching for community that comes up so often in your writing- I am so there. Thanks for putting it into words and making me feel less lonely in it. I feel exactly the same way about the ocean… I’ve had a love/hate relationship with it my whole life. The bigness, the power, the ceaselessness of it’s pounding– it terrifies me to my very soul. But it’s so beautiful and big and it reminds me of God and it smells so exciting– like adventure and pain and treasure. I can’t NOT go back, but I can hardly stand to watch my children play in the waves, moments from death. Oh my…there is so much wrapped up in this post that I totally get. I am terrified of the “oceans” of change and those huge steps of faith God asks me to take, because, yes, sometimes the hugeness of that “ocean” swallows me whole…but always He keeps asking me to just step out in faith and watch Him do the work in me, as scary and overwhelming as it is. Oh my…I could go on and on. Beautiful words once again, sweet lady. I feel the same way about the ocean – it terrifies me. That’s probably why I love the mountains so much. They just don’t seem quite as unpredictable and mysterious. I very much enjoy reading your blog, appreciate your honesty and candid words. I’m afraid of joining. I think it’s because I’ve been rejected lots of times. I love to belong. Learning to float. | bunkers down. © 2017-2013, Heather King. All Rights Reserved.